We are...Meridian High School is dedicated to the belief that equal educational opportunity and a strong education system are crucial cornerstones of an autonomous society. Ipsa Scientia Potestas Est (Knowledge is Power) is our motto. 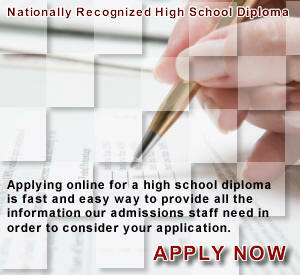 High School Diploma (HSD) is a diploma awarded for the completion of high school. In the United States and Canada, it is considered the minimum education required for government jobs and higher education. 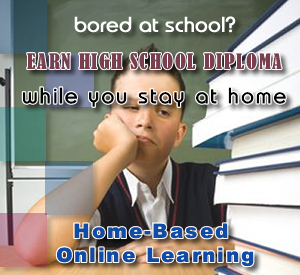 Meridian High School offers nationally recognized High School Diploma (HSD) through Online Learning. We are open 365 days (24/7) a year and has various faculty, staff, and administrators to assist our students and their parents. Of course, the "online" component of our school makes us unique. Meridian High School maintains registration and completes an annual survey as required by the Florida Department of Education School Choice (School Code: 5617). 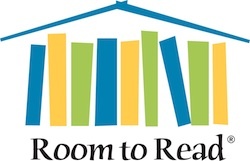 We comply with section 229.808 Florida Statutes requiring the yearly completion of the Florida Department of Education Non-Public School Survey. Meridian High School is registered with the Kansas State Department of Education (NAPS School ID: 22022). We comply with Kansas Statute 72-53,100 through 102. Meridian High School, in partnership with North Atlantic Regional High School, allows our students to earn regionally accredited transcript. NARHS is a state-authorized private school recognized by the Department of Education and regionally accredited by the Middle States Association of Colleges and Schools which is one of six regional accrediting agencies recognized by the U.S. Department of Education. For more details, check the catalog. Meridian High School offers curriculum prepared by Edgenuity. Edgenuity has achieved Corporate Systems Accreditation with Supplemental Digital Learning under AdvancED. The accreditation includes AdvancED, the North Central Association Commission on Accreditation and School Improvement (NCA CASI), the Southern Association of Colleges and Schools on Accreditation and School Improvement (SACS CASI), and the Northwest Accreditation Commission (NWAC). For more details, check the catalog. Meridian High School is member of The International Association for Educational Assessment. Meridian High School is an authorized academy of CompTIA. The CompTIA offers a robust educational program designed to assist academic institutions, nonprofit organizations, and government retraining agencies in enhancing the learning experience for students preparing for an IT career. CompTIA can help students acquire the necessary knowledge, skills, and credentials for a successful IT career path. This includes resources to help students choose potential paths of employment, and education on opportunities for long-term career growth. The program includes information, tools, and resources designed to help school administrators and instructors plan, prepare, and deliver an effective IT curriculum. Also known as the Microsoft Partner Network or MPN is Microsoft Inc.’s partner network. It was formerly known as the Microsoft Partner Program or MSPP. It is designed to make resources available to a wide variety of technology companies so they can build a business around Microsoft technologies. The program consists of the 640,000 partners, vendors and service providers that build or sell solutions based on Microsoft products. Meridian High School membership number is 4987247. Main Office | Why MHS? gender and ethnic backgrounds to all the rights, privileges, programs and activities generally accorded or made available to students. Copyright © Meridian High School 2010-2012. All rights reserved.